SALT LAKE CITY, UT - SEPTEMBER 24: Ekpe Udoh #33 of the Utah Jazz poses for a portrait at media day on September 24, 2018 at the Zions Bank Basketball Campus in Salt Laker City, Utah. As he left the locker room, Ekpe Udoh offered a little bit of wisdom. 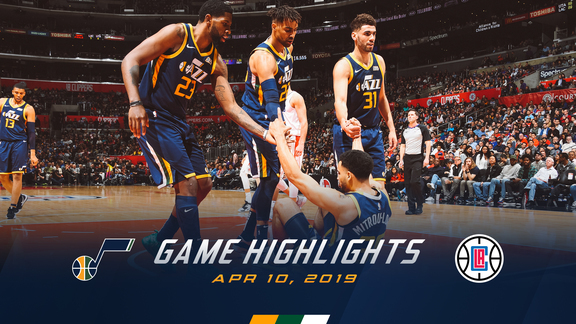 The Utah Jazz center does this after every game, shouting out some aphorism or piece of advice to his teammates and to reporters on his way out the door. Wear your seatbelt. Call your mother. With that, he walked out the door. Udoh did not log any playing time during the game that night, but he still found a way to leave his mark on the locker room. Whether it’s advocating for social justice, mentoring a teammate, leading a book club discussion or denying someone at the rim, the 31-year-old doesn’t need big minutes to have a big role with the Utah Jazz. The Golden State Warriors drafted Udoh with the sixth overall pick in the 2010 NBA Draft. Three teams and five years later, Udoh was out of the league and looking at his options overseas. He signed with the Turkish club Fenerbahçe—and the decision changed him forever. Udoh was beloved in Turkey. He helped Fenerbahçe reach the EuroLeague championship game his first year with the club. He won the title and was named EuroLeague MVP a year later. All the while, Udoh embraced Turkey and its people. Udoh returned to the NBA in 2017, signing with the Utah Jazz. But he brought a new awareness with him. He stays actively involved with causes that are important to him: the work of Nadia Lopez, a middle school principal in one of New York’s poorest neighborhoods; a literacy program in his home state of Oklahoma; a farming project to make fresh food more affordable; the water crisis in Flint, Michigan. Jazz head coach Quin Snyder sees Udoh’s impact on the court every game. Whenever the reserve center’s number is called, he seems to be ready to provide an important defensive stop for the Jazz. Even when he doesn’t get into the game, the veteran’s role with the Jazz is crucial. “I just keep it 100 with him,” Udoh said. “When he’s doing good, praise him. When he’s doing bad, get on him. But there’s always a positive to it and there’s a lesson to be learned. He listens, so it’s easy. While many of his teammates prepare for a game with music pumping through their headphones, Udoh prefers a different approach. You can find him at his locker, reading a book. Udoh can churn through a book in a day or two, but he didn’t always enjoy reading. His father, Samuel Udoh, tried to instill a passion for literature into his son, taking him often to the library as a child. It wasn’t until about five years ago, though, that Udoh came around. He started reading newspaper and magazine articles sent to him by a friend. Soon enough, he was reading everything he could get his hands on. “A switch went off,” Udoh said. Udoh was playing for the Milwaukee Bucks and an assistant coach suggested he read “The Last Lecture” by Randy Pausch. That’s when Ekpe’s Book Club was formed. Udoh started the club in Milwaukee, took it with him to Turkey and is now continuing the tradition in Utah. This season, Udoh has added a new element by bringing in the authors of the books the club reads. Udoh’s next discussion, featuring Utah author Camron Wright, will be streamed on utahjazz.com and FaceBook Live on Thursday evening. Whether it’s in a locker room, a book club or anywhere in between, building community is what Udoh is all about.